Happy Anniversary to Rob and Danielle!! Nothing makes us happier than when our clients are happy! Rob and Danielle booked our videography services, as well our DJ! DJ Dave was a perfect fit for this Country loving couple! He taught dances, and kept the party going all night long! 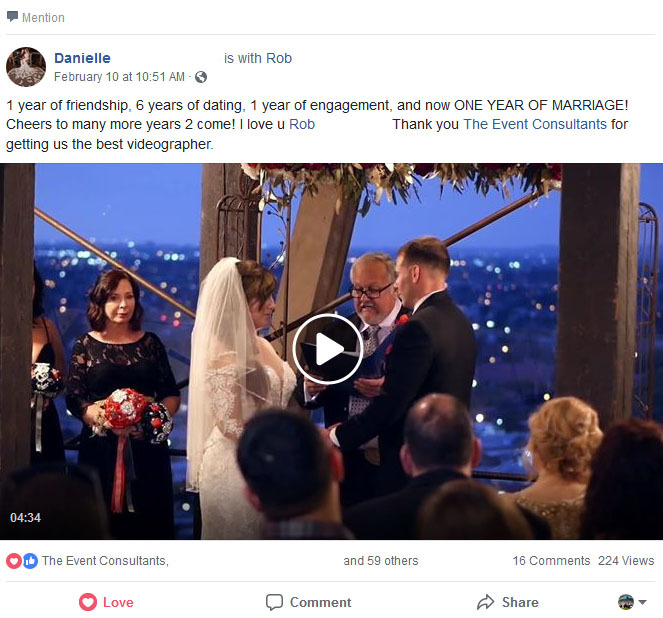 So happy to see Rob and Danielle were so happy with our videography services, we just had to share their post!